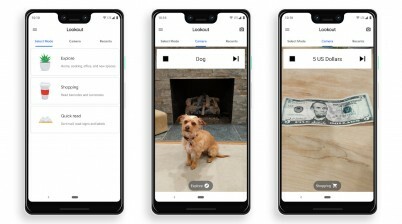 Google Lookout is a free app that uses AI to identify things it sees through the phone's camera and describe it to a visually-impaired user. 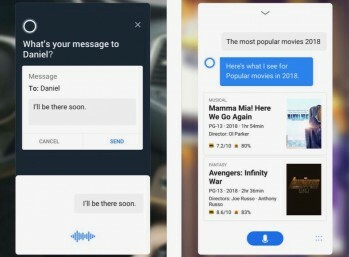 The company announced this week that the app is available now for English speakers in the US with a Google Pixel phone. The app has three modes: Explore, for exploring new spaces and dealing with typical office, home, and cooking tasks; Shopping, which reads bar codes, prices, and physical currency; and Quick Read, which reads text from mail, signs, and labels. The app is designed to be used with the phone held in hand, or hung on a neck lanyard. Microsoft already offers a similar app called Seeing AI, and recently updated it to include haptic feedback. 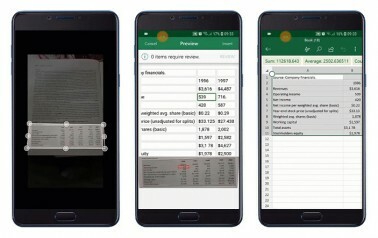 Excel for phones now lets users import table data directly into spreadsheets from a photo taken with the phone's camera. Microsoft announced the feature last September. It's rolling out now for the Android version of the app, "with iOS support coming soon". The feature lets users take a new photo from within the app, or import an image already on the phone. They can then crop to the table, then review the import for errors in a split-screen mode. 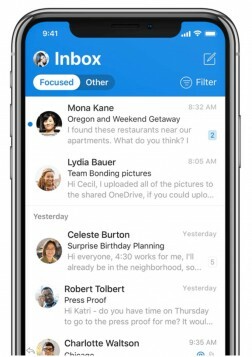 Microsoft today revealed a wholly redesigned version of Outlook Mobile for iOS devices. Not only did Microsoft give the app a fresh coat of paint, it tweaked many of the tap and swipe actions to help speed up and simplify users' daily routines. For example, when users swipe left or right on an email they'll see changes in color and shape, as well as experience haptic feedback to make it more obvious what action is taking place. Microsoft has animated the calendar icon, which now fans forward or backward as people scroll their agenda, and the app now calls out calendar conflicts more visually. Microsoft has changed the color of the app, which is a bolder shade of blue across the inbox and calendar. Microsoft says this helps people visually identify apps faster as they swipe through the iOS app picker. Microsoft has embraced the native font and typography of iOS, giving the app a look that's more in line with those from Apple. Other changes impact the mechanics of the app, such as the Focused Inbox toggle and message list filtering, which now help people focus on content and account details. The app continues to support multiple accounts, and will now call them out visually with personalized avatars. These are meant to instantly alert the user as to which account they have accessed. Similarly, Outlook adds new avatars for contacts to aid in visibility. The new Microsoft Outlook Mobile for iOS is free to download from the iTunes App Store. Microsoft today dropped a rebuilt version of Cortana for iOS devices. Cortana is similar to Siri in that it can perform actions based on voice requests. Microsoft says the new Cortana is less robotic and more conversational. This helps interactions feel more natural. The app can be used to set up and manage Cortana devices, listen to music and podcasts on the go, and stay on top of tasks, reminders, and to-dos. Cortana for iOS also integrates with other Microsoft services more tightly, such as Skype and Teams, email and calendar. Cortana is free to download from the iTunes App Store. 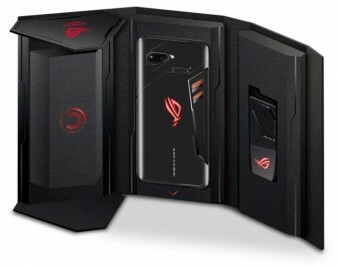 Asus has made its ROG gaming phone available to U.S. consumers. The device is available online from Asus, Amazon, and Microsoft. The 128 GB version costs $899 and the 512 GB version costs $1,099. The company says the phone will start to ship during the last week of October. The ROG Phone has a Snapdragon 845 processor, 8 GB of RAM, and an Adreno 630 GPU. Asus gave the phone a vented copper cooling panel in order to control thermals. The device includes a 6-inch, full HD+ AMOLED screen with a 90 Hz refresh rate, as well as a 10,000:1 contrast ratio, and a discrete imaging chip for HDR playback. Other features include 24-bit stereo speakers, DTS Headphone with 7.1 virtual surround, a 4,000mAh battery, and a 12-megapixel camera. Asus will make a number of accessories available for the phone, including a dock, case, and game controller, later this year. Microsoft today said its SwiftKey keyboard application for Android devices can provide real-time translations between more than 60 languages as users compose their message. This is made possible by the introduction of Microsoft Translator, which uses artificial intelligence to predict words and phrases as people type. "We wanted to make it really easy for users to be able to translate as they type and to be able to translate incoming messages," said Colleen Hall, senior product manager for SwiftKey, in a blog post. Microsoft believes the real-time translation feature will be helpful when people message friends, family, or colleagues who speak different languages. By integrating the tool directly into the keyboard, people no longer need to leave the messaging app when they want to translate languages. Moreover, the app will remember users' preferences for language pairs so people don't have to scan the entire list each time. Microsoft says the translation feature can work when offline as long as the Microsoft Translator app and accompanying language packs are also installed on the device. SwiftKey for Android is free to download from the Google Play Store. Microsoft today said that it will soon cease accepting new apps for Windows Phone 8.x or 8/8.1. Microsoft will stop taking in new Windows Phone 8.x and 8/8.1 apps on October 31 of this year. Microsoft will stop pushing updates to apps for Windows Phone 8.x starting July 1, 2019, and will stop pushing updates to apps for Windows Phone 8/8.1 on July 1, 2023. Microsoft asks developers to consider updating to the Windows 10 platform. "We encourage you to explore how you can port your existing app to the Universal Windows Platform (UWP) where you can create a single Windows 10 app package that your customers can install onto all device families." Windows Phone 8 has been discontinued for some time. Microsoft has also stopped making new Windows Mobile 10 phones. Some of these devices remain in use, however, and are still receiving support from Microsoft. Microsoft has updated its launcher for Android phones. Version 4.12 of the app adds full support for Android 8 Oreo, while it also removes support for older Android platforms, 4.0.x and 4.1. With Oreo, the app adds folder and app icon gestures for swiping to interact with apps. Other changes include more control over the last row of the dock, and alphabetical sorting of apps within folders. Further, parents can turn on web filters via the Family card. Improvements to the user interface include animation adjustments, blur effects, and app badges in the app drawer. The Microsoft launcher is free to download from the Google Play Store. Facebook and partners today announced the Data Transfer Project, an initiate with the goal of giving people more control over their data. The companies are working together to create an open source method that people can use to easily transfer their data from one service to another. For example, the tool would make it possible for a Google Photos uses to swap their image library to Microsoft OneDrive and any other provider. The Data Transfer Project hopes to do this in a way that is simple, secure, and supported by as many services as possible. While Facebook, Google, Microsoft, and Twitter are the first to lend support, the initiative is open to all companies. "If a user wants to switch to another product or service because they think it is better, they should be able to do so as easily as possible. This concept of allowing users to choose products and services based on choice, rather than being locked in, helps drive innovation and facilitates competition," said the companies in their white paper. The participants admit it is early days for the project and they haven't said when the DTP might be available to the public. Consumers often choose an ecosystem — Android, iOS, macOS, Windows, et al — when buying hardware. The DTP could make it simpler for people to change ecosystems when upgrading to new devices. Microsoft this week rolled out an update to its Bing search engine that lets people perform searches based on things they see in the real world. The visual search function works similarly to Google Lens. Bing users can take a snapshot of a landmark, or plant, or animal and then search based on the image. Microsoft says it will identify the object and provide information about it along with links to learn more. Microsoft says the app also allows people to shop from image searches if they wish. 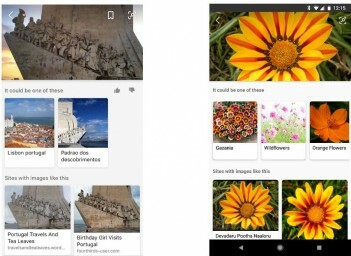 The new visual search function is available within the Bing search app on Android and iOS, as well as via the Edge browser on Android. Visual search will reach the Edge browser on iOS in the weeks ahead. New emoji are coming to a phone near you, eventually. Unicode 11.0, which was finalized in February, will be released on June 5, according to Emojipedia. 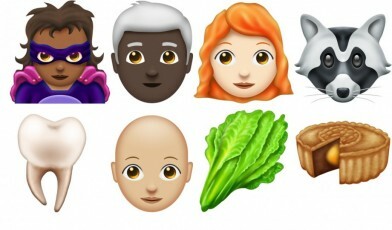 Some of the new options will let men and women emoji select from various hair styles (including red-haired and bald), while new hero and villain styles support new gender and skin tone options. There are new colors available for leg, foot, bone, and tooth emoji; new animals such as badgers, swans, peacocks, and llamas; new food such as mangos, leafy greens, and moon cakes; and many new places, activities, games, objects, and symbols. Support for Unicode 11.0 will be gradual. For example, Twitter, Facebook and Microsoft are expected to adopt Unicode 11.0 between June and August, while Google and Apple likely won't add Unicode 11.0 to Android and iOS, respectively, until September or October. Phone makers such as Samsung may not adopt Unicode 11.0 until January or February of next year. Microsoft says Android and iOS users of its Groove Music mobile apps will soon need to find another way to listen to their tunes. "We're notifying customers that on December 1, 2018, the Groove Music iOS and Android apps will also be retired and, effective June 1, are no longer available for download," said Microsoft in a statement provided to The Verge. Though Microsoft retired the Groove Music streaming service last year, it kept the app up and running so people could access their music. Microsoft indicated that users' music files stored in OneDrive will still be accessible, but not via the Groove Music app. Microsoft today introduced new tools for parents that can help them manage their kids' use of mobile devices. 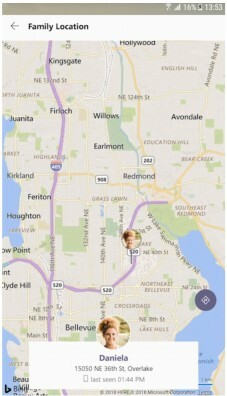 The Microsoft Launcher for Android phones now includes location history so parents can see their children's last known location with a time stamp. The Launcher also gains the ability to let parents view app activity. Parents can see which apps are accessed at what time and for how long they are used. The Microsoft Edge browser for Android devices now gives parents the ability to allow or block web sites. Parents will have to set up a family group in order to control these tools. Microsoft says parents can also check usage on Windows 10 PCs and Xbox One consoles. The updates to Microsoft Launcher and the Edge browser will begin rolling out today. Microsoft today announced several new mobile initiatives that pair its own Windows platform with Android and iOS devices. 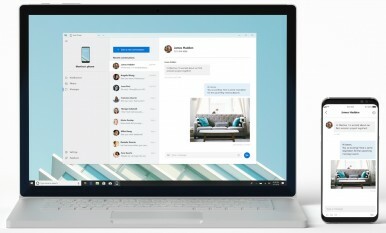 First is a new tool, tentatively called Your Phone, that connects Android and iOS devices with a Windows 10 PC in order to access text messages, photos, and notifications. People will be able to perform actions such as drag-and-drop photos from their phone directly to their PC. Microsoft said this will be available via the Windows Insider Program for testing in the near future. Microsoft has also updated its Microsoft Launcher app for Android devices, specifically with business customers in mind. Launcher will fall under full control of the IT department and will support business applications via Microsoft InTune. Businesses will be able to use the Launcher to control which apps are made available to employees. Last, the new Timeline tool helps people move their work flow from one device to another seamlessly. In other words, employees working in Word on their Android device will be able to pick up where they left off on a Windows 10 PC. 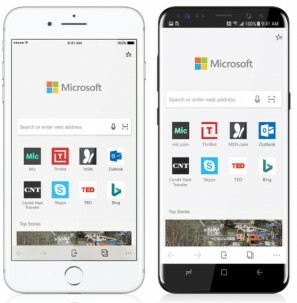 Timeline will be available via the Microsoft Launcher on Android phones and through the Microsoft Edge browser on the iPhone and iPad. Microsoft said all these tools and features will be available in the near future. Microsoft today said its Microsoft Translator application can now function when offline. End users will need to download free AI-powered packs for the language of their choice ahead of time. Once downloaded, the Translator is able to take advantage of Microsoft's neural translation technology without a network connection. The AI-powered offline language packs are available to Microsoft Translator for Android, iOS, and Amazon Fire devices. Beyond the end-user features, Microsoft is allowing developers to integrate online and offline AI-based text translations into their own apps. This would let, for example, camera applications translate text in real time even with the phone is offline. Developers can find the new tools on Microsoft's developer web site. Microsoft Translator is free to download from the Google Play Store, iTunes App Store, and Amazon Appstore. BlackBerry and Microsoft announced a new partnership that will see the two deliver mobile software and services to businesses customers. A new solution, called BlackBerry Bridge, lets business users access Microsoft mobile apps from within BackBerry Dynamics. This means corporate employees will have the same experience opening, editing, and saving Microsoft Office documents on any Android or iOS device. It gives mobile workers a secure way to access their files that are immediately backed up in Microsoft's cloud. Microsoft says the partnership also brings new powers to the IT department, which will better be able to secure company data and maintain privacy while remaining compliant with regulatory statutes. In order to make this work, the companies have integrated BlackBerry UEM Cloud, Workspaces, Dynamics, and AtHoc into the Microsoft Azure cloud platform. Microsoft and BlackBerry didn't specify how quickly these new services will be available to their customers. 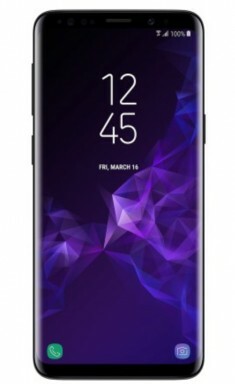 Microsoft has added the Samsung Galaxy S9 and S9+ to its online store. The devices are pre-configured with Microsoft apps and services. "A Microsoft customization is applied to the Samsung Galaxy S9 and Galaxy S9+ Microsoft Edition when the devices are unboxed and connected to WiFi," explained Microsoft. When users first boot the device, they will be prompted to download Microsoft apps such as Office, Outlook, OneDrive, Cortana, and Microsoft's launcher for Android. Other than the software, the specs and features of the S9 and S9+ are unchanged from other versions of the phone. When purchased from Microsoft, the S9 and S9+ are unlocked. The S9 costs $720 and the S9+ costs $840. Microsoft recently released an updated version of Skype for Android meant for older smartphones. Specifically, this down-tuned variant of Skype is intended for Android devices running 4.0.3 Ice Cream Sandwich to 5.1 Lollipop. Microsoft says Skype for these phones uses less memory and less storage, allowing the app to run faster while also improving audio and video quality even in challenging network conditions. Microsoft is rolling out this update worldwide over the next few weeks. Those who want to download the app immediately can do so via the Skype Insiders Program. Skype is free from the Google Play Store. The current state of mobile device security patches is lacking, according to a new report issued today by the Federal Trade Commission. The FTC studied how Apple, BlackBerry, Google, HTC, LG, Microsoft, Motorola, and Samsung support their devices over time. "Our report found significant differences in how the industry deploys security updates and that more needs to be done to make it easier for consumers to ensure their devices are secure," said Acting Director Tom Pahl. The agency notes that many devices are updated infrequently, if at all, and that manufacturers often fail to deliver on promises. It wants phone makers and carriers to improve the situation. The agency suggested each does a better job of explaining mobile device security to consumers (i.e., make it clear to them that the updates are important and worth installing). The FTC also recommended that phone makers consider issuing security patches as stand-alone updates, rather than bundled with general OS upgrades. The FTC noted that companies that make their own operating system, in this case, Apple and Google, are often better at providing timely updates for a longer period of time. The FTC is calling for members of the mobile industry to find a way to bring clarity to consumers and more rapid security updates. 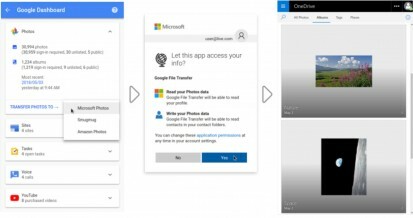 Microsoft's garage team has released a new application that lets Android and iOS users easily transfer photos from their phone to their Windows 10 PC. Photos Companion works in coordination with the Microsoft Photos app on Windows 10 PCs. As long as the iPhone or Android device is on the same network as the PC, users can transfer photos and videos directly from the phone to the computer over WiFi. 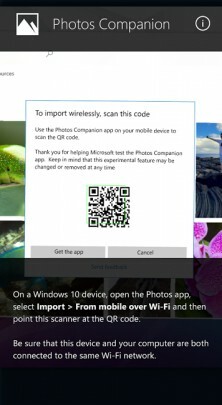 The app makes use of a QR code in Microsoft Photos on the PC that users scan with the Photos Companion app to initiate the transfer. Photos Companion is free to download from the Google Play Store and the iTunes App Store. Google today improved Google Drive's compatibility with Microsoft Office documents. Drive users can now comment directly on more file types, including Word, Excel, PowerPoint, PDFs, and images without first converting them to Docs, Sheets, or Slides. The commenting system for Office documents functions much the same as it already does for Google Docs. Google explained that the Drive preview pane lets people "comment, assign tasks, or mention coworkers and the people you work can reply back, even if they’re not using G Suite." Google continues to offer its Drive plug-in for Outlook to make it easier to insert files stored in Drive to an Outlook email or vice versa. As always, Drive users can fully convert Office documents to Docs, Sheets, or Slides if they wish. Google said the new Office integration is coming to all users over the next few weeks. Qualcomm's Smart Audio Platform now supports Amazon Alexa, Google Assistant, and Microsoft Cortana. The idea is to make it easier for hardware makers to add voice assistant features to their devices, such as smart speakers and other smart home gear. The platform will reduce the time and development cost to bring such functions to various designs for in-home use. In addition to Google Assistant, the Smart Audio Platform includes support for Android Things, Google Cast for audio. and other Google services. "The integrated platform is designed to bring together a unique combination of processing capability, connectivity options, voice user interfaces and premium audio technologies to help meet increasing consumer demand for comprehensively featured, highly intuitive smart speakers," said Qualcomm. The Smart Audio Platform is powered by a quad-core ARM A53 processor and includes Qualcomm's Hexagon Audio DSP, WiFi, Bluetooth 4.2 Low Energy with aptX and aptX HD, audio playback for various codecs, far-field microphones, beam forming, echo cancellation, and noise suppression. The Qualcomm Smart Audio Platform with support for Amazon Alexa is already in production, while the Smart Audio Platform for Google Assistant and Microsoft Cortana is expected to be generally available in the first half of 2018. Qualcomm today announced the Low Power Bluetooth SoC QCC5100 Series module for wearables and hearables. The SoC is meant to empower small form factor hardware by reducing power requirements and adding advanced features at the same time. The module runs on a dual-core, 32-bit processor with Qualcomm's Kalimba DSP Audio subsystem. It supports high-fidelity music and call playback with aptX, aptX HD, Qualcomm TrueWireless Stereo (for fully wireless earbuds), and enhanced active noise cancellation. Moreover, it bakes in support for voice assistant services from Amazon (Alexa), Google (Assistant), and Microsoft (Cortana) with low-power wake word detection. Other specs include Bluetooth 5.0 and 2 Mbps Bluetooth Low Energy support, embedded memory and storage for music, integrated amplifier, and developer tools for hardware makers to put to work in their designs. Qualcomm claims the SoC is very efficient, reducing power consumption by 65% for voice calls and music streaming. Qualcomm expects designs based on the QCC5100 Series will reach the market during the first half of the year. The Internet Association plans to fight the FCC's attempt to repeal net neutrality. The FCC this week published the final version of its Report & Order to sack the Obama-era laws that govern the internet. The FCC seeks to reclassify broadband internet under Title I of the Communications Act as a private service, rather than as a utility under Title II. The FCC also plans to ditch the bright-line rules that prohibit throttling, blocking, and prioritization. In response, the Internet Association said, "The final version of Chairman Pai’s rule, as expected, dismantles popular net neutrality protections for consumers. This rule defies the will of a bipartisan majority of Americans and fails to preserve a free and open internet. IA intends to act as an intervenor in judicial action against this order and, along with our member companies, will continue our push to restore strong, enforceable net neutrality protections through a legislative solution." Members of IA include internet giants Google, Facebook, Amazon, Microsoft, Netflix, Spotify, eBay, Twitter, Pandora, PayPal, and others. Microsoft today updated its Pix camera application or iOS devices and added several new and fun tools. First up is a function called Photosynth, which lets iPhone owners create much wider and taller panorama photos. It provides faster and smoother capture, and uses Pix's auto-enhancement capabilities to improve white balance, tone, and focus in real time. 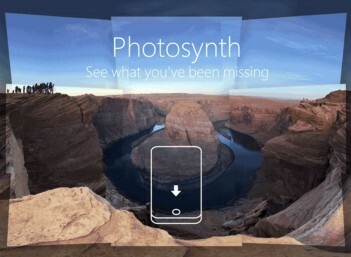 Microsoft ways the tool borrows code from its old stand-alone Photosynth app. The second tool is called Pix Comix and will automatically create comic book-style collages from video clips. Microsoft says its algorithms can identify and assemble the most interesting frames in any given video to paste together a comic strip. Pix Comix specifically seeks out three frames that offer sharp focus, open eyes, and interesting composition. People can then add speech bubbles, as well as rotate and arrange the comic strip to suit their preferences. Microsoft Pix for the iPhone is free to download from the iTunes App Store. Microsoft today said its Edge browser for Android and iOS has exited preview and is now available as a final, public application. Microsoft Edge for mobile devices ports over popular desktop features, include Favorites, Reading List, New Tab Page, and Reading View. It can sync bookmarks and browser history with the desktop and includes a built-in QR code reader. This final version of the app adds Roaming Passwords, which allow you to save passwords on one device and sync them to others, such as from a phone to a PC and vice versa. The browser also gains a dark theme. Microsoft Edge is free to download from the Google Play Store and iTunes App Store. Skype has updated its mobile app with new tools for customizing pictures similar to Instagram and Snapchat. The photo effects include face stickers, captions, celebrity lookalikes, location and weather, and face swaps for adding a dash of whimsy to shared images. A "magic wand" button appears on the screen after users snap a photo and provides access to the effects tools. Photos can then be shared with friends and family via chat or highlights. Microsoft says the sticker selections will change over time, especially as holidays come and go. 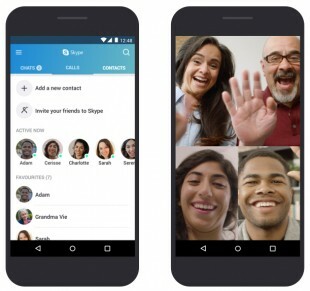 The new version of Skype is free to download from the Google Play Store and iTunes App Store. Microsoft today ported its Cortana personal assistant to its Skype chatting application, providing people with access to information without forcing them to leave Skype. Microsoft says Cortana in Skype can suggest useful information based on chat contents, suggest smart replies, manage schedules and/or reminders, and more. Beyond the proactive assistant duties, Cortana exists as a Skype contact with which users can have "conversations" to check movie times, the weather, flight status, stock quotes, and restaurant recommendations. Microsoft says it is rolling out Cortana to Skype users in the U.S. gradually beginning today. The personal assistant is available to the Android and iOS versions of Skype. Microsoft today also updated its Outlook mobile email and calendar app for Android and iOS devices with much wider support for varied calendar actions. For example, Android and iOS users will now be able to view and edit shared Office 365 or Outlook.com calendars; manage someone else’s calendar at work; connect your Meetup account to Outlook; and more easily manage events from mobile devices. Outlook for Android and iOS is free to download from the Google Play Store and iTunes App Store. Microsoft executive Joe Belfiore on Sunday explained in a series of Tweets that the company is no longer creating new software or hardware for its Windows Mobile platform. Belfiore was responding directly to questions posed by fans when he said, "Many companies still deploy [Windows Phone] to their employees and we will support them! Of course we'll continue to support the platform ... bug fixes, security updates, etc. But building new features/[hardware] aren't the focus," Belfiore admitted that he, like Microsoft founder and former CEO Bill Gates, has switched to Android. "As an individual end-user, I switched platforms for the app/hw diversity." The questions put to Belfiore arose due to Microsoft's recent move to expand its Edge browser to to iOS. The browser is in beta mode via the App Store. Microsoft has focused much of its mobile app efforts on the Android and iOS platforms in recent years with its Office productivity suite, Skype communications tool, Android Launcher, OneDrive, and more. In the end, apps became the problem for Windows 10. "We have tried very hard to incent app [developers]. Paid money ... wrote apps for them ... but volume of users is too low for most companies to invest," wrote Belfiore. With no real selection of apps, Windows Mobile didn't have much of a chance against the Android and iOS platforms, which each offers more than one billion apps available to end users. Microsoft today made a beta version of its Edge browser available to Android and iOS devices. The beta, available to registered Windows Insiders, requires users to initiate the signup process through a Windows 10 PC. Edge for mobile devices ports over popular desktop features, include Favorites, Reading List, New Tab Page, and Reading View. It can sync bookmarks and browser history with the desktop and includes a built-in QR code reader. It's only available to U.S. beta testers in English for now. Microsoft today also released a new launcher for Android handsets. The launcher replaces the native home screen on Android devices in favor of Microsoft's. It includes Windows 10 features such as favorites, recent photos, documents, and more. Before today, the Microsoft Launcher for Android was in beta status via the Microsoft Garage. It is now available for download through the Google Play Store. Microsoft today announced changes to its music offering for Windows devices that will see it transition from its own Groove Music service to Spotify. According to Microsoft, the Groove Music media player application will continue to work for playing back owned music on Windows devices, but it will no longer offer the option to stream, purchase, or download music after December 31. Microsoft says all Groove Music Pass customers can easily transition their curated playlists and libraries to Spotify. The newest Groove Music app for Windows devices will encourage customers to initiate the transition from Groove to Spotify. Spotify is one of the world's largest music streaming services and has more than 30 million tracks available for on/offline listening. Some Groove Music Pass customers may quality for a free 60-day trial of Spotify Premium, which normally costs $10 per month. Apple has released iOS 11.0.1 a week after that platform's first public debut in a move to stamp out early bugs. The new operating system is rife with small glitches and Apple says this release helps smooth some of them over on the iPhone and iPad. According to Ars Technica, one of the most significant bugs repaired in the patch impacted email syncing from certain Microsoft Exchange-based email services. iOS 11.0.1 is free to download from Apple. Apple today changed its Siri voice assistant to use Google for web searches instead of Microsoft's Bing. The change affects direct requests to search the web, as well as default results when Siri cannot return a more specific, intelligent answer or action. Apple says the switch is intended to make web search more consistent, as Google is already the default within Apple's Safari web browser in phones. Bing will still power Siri's image search function. The change takes effect today. Microsoft today updated its Outlook email application for Android devices and gave the app the ability to support add-ins. Microsoft says add-ins let Outlook users do more with their email thanks to powers enabled by third-party applications. For example, adds-ins will negate the need to leave Outlook to perform certain tasks, such as translate text, insert GIFs, or save items for safekeeping. Some of the launch partners include Evernote, Microsoft Dynamics 365, Microsoft Translator, Nimble, OnePlaceMail, Outlook Customer Manager, Smartsheet, and Trello. More are on the way. Microsoft says add-ins are available when reading or composing and replying to emails. Microsoft Outlook for Android is free to download from the Google Play Store. Add-ins were added to Outlook for iOS earlier this year. Microsoft said it will be bringing add-ins to Gmail customers on iOS and Android soon. 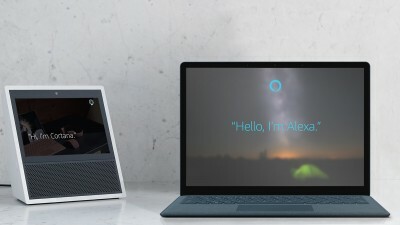 Microsoft and Amazon today announced a new partnership that will allow Windows 10 users to access Alexa via Cortana, and Echo users to access Cortana via Alexa. The tie-up lets people use one personal assistant to open the other. For example, people who own Windows 10 PCs will be able to say "Hey Cortana, open Alexa" and then speak queries to Alexa through their PC. Conversely, people who own an Amazon Echo device will be able to say "Alexa, open Cortana" to set reminders, check appointments, and make other requests of Cortana. Microsoft says this capability is available to Windows 10 PCs first, but it will come to Android and iOS devices later this year.